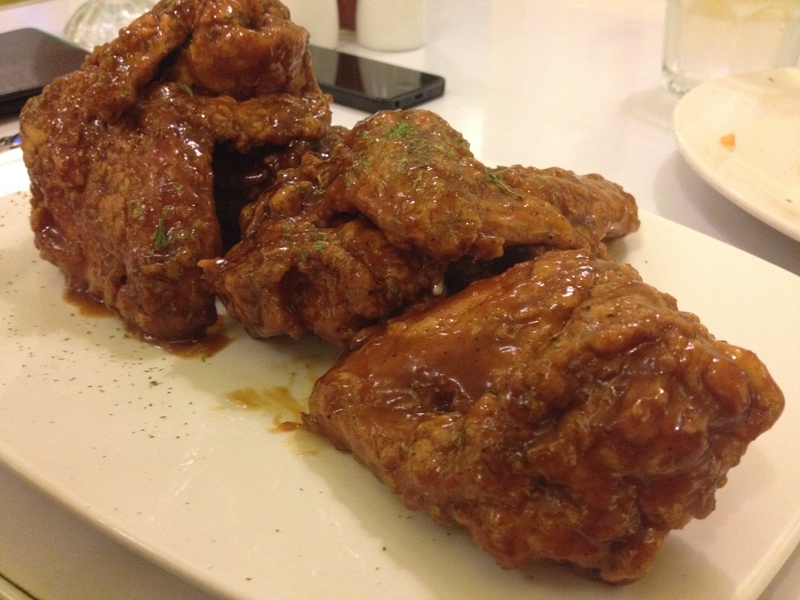 If you’re trying to look for a place where to have dinner on your way home and you live in the south, BF is probably a good idea to hunt for new restaurants to try. My handsome driver could probably eat a bear at that time, soo. Well, we ended up at Richie’s Diner. Place was well lit and it looked huge. Bravo to their Interior Designer for placing mirrors everywhere. It doesn’t looked cramp. 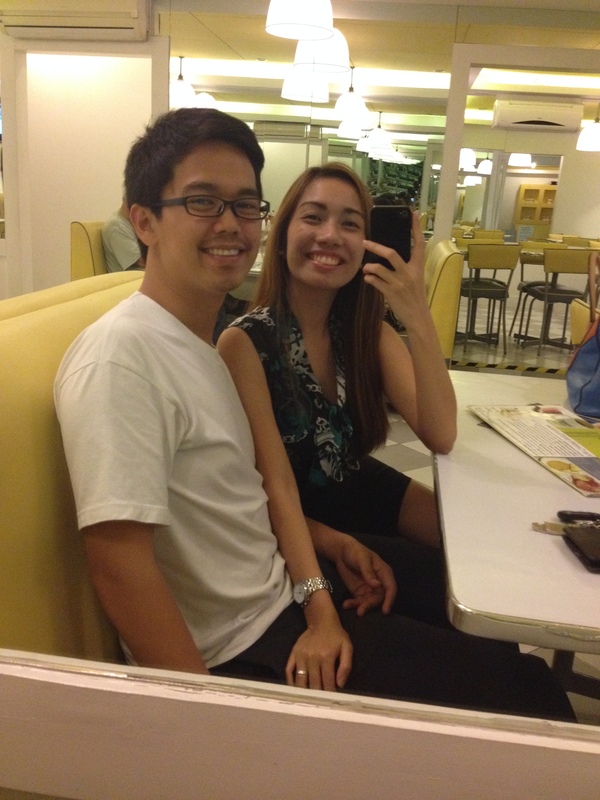 He has a thing for American Food and I have a thing for Diners. Everybody Wins! Immediately, Nuttella French Toast caught my eye. Two of the best things in life. Nutella – I mean, come on. You can’t deny that Hazelnut gives you the goosebumps. And, frenchtoast!But enough attention on my drooling phase. I ended up ordering Liempo Adobo. My curiosity over ruled my love for Nutella. 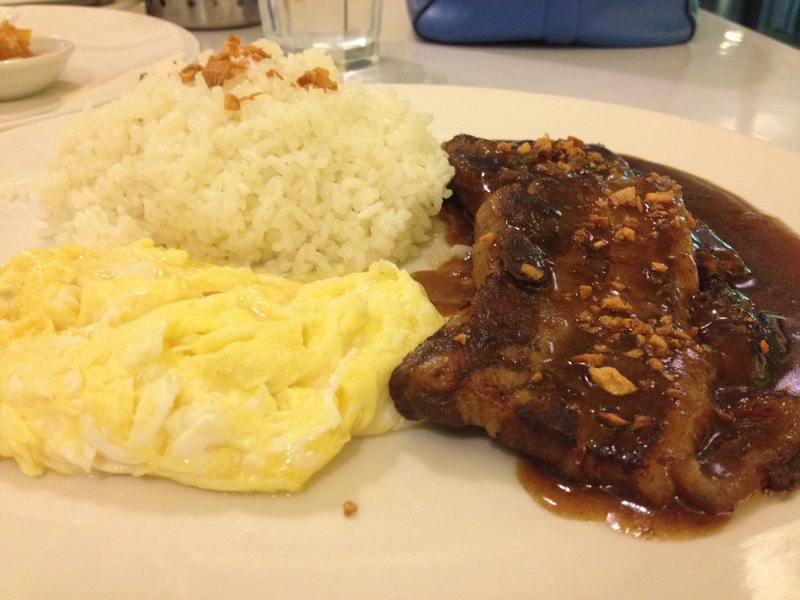 Liempo Adobo for Php 170.00. Served with two eggs. It tastes exactly like Adobo. 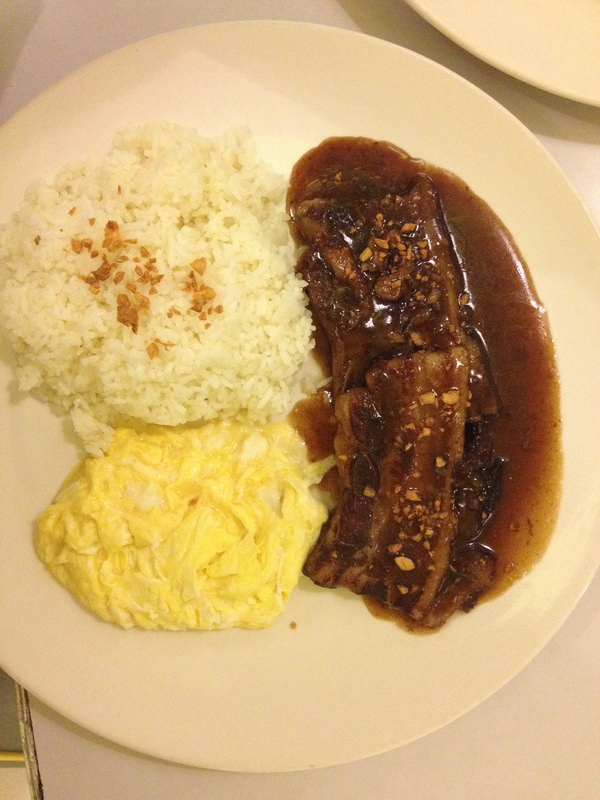 Served with two slabs of Liempo. Although both of them had a piece of bone at the end, it was okay. 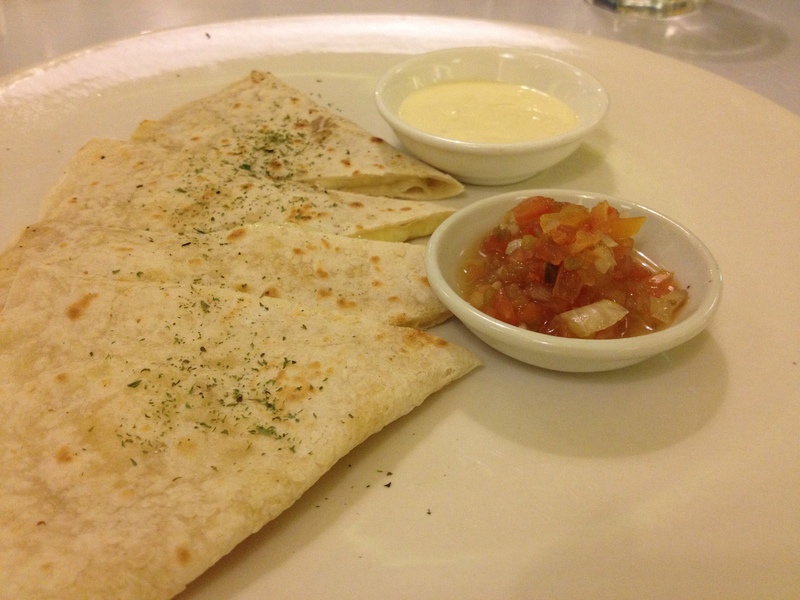 The slabs also had a portion of ‘taba’ which I liked. It wasn’t too thick but it emphasizes the goodness of the Adobo. I had my eggs scrambled. And I love Fried Rice paired with Adobo. Perfect. 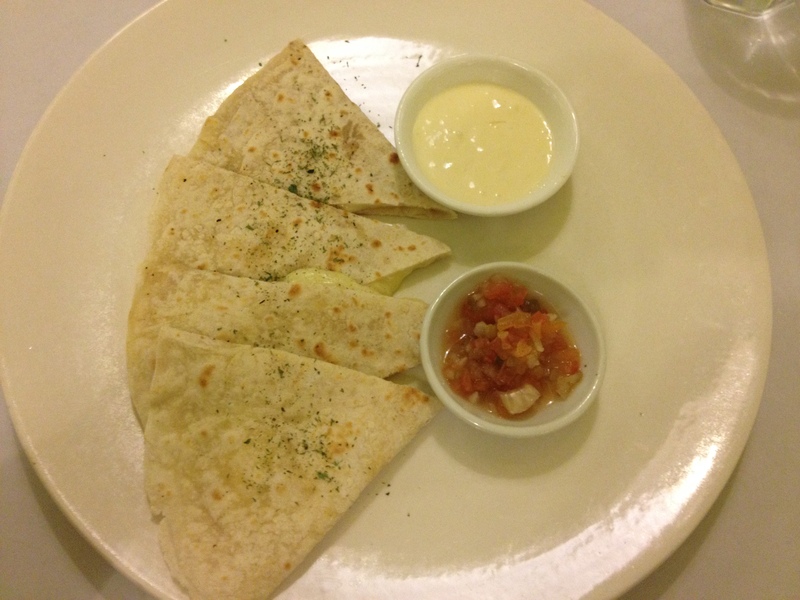 My love ordered Cheese Quesadilla – Php 120.00. The tortilla bread was thin but the cheese was oozing so I guess it was fine. But paired with the salsa, it was go-o-od – based from my partner in crime. It had six wings. Good thing? It was a huge type of Wing like it can’t be classified as wings. 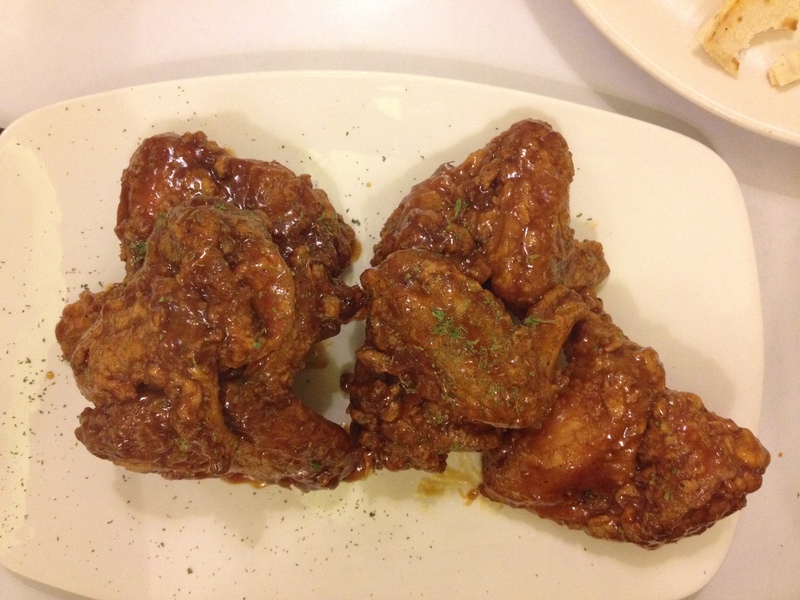 So much bigger than compared to the one at Wingman in Makati. The Hot Buffalo coating was good. plus, it wasn’t hot which is a plus for me since I hate anything spicy. And this is the first time that I might approve anything strawberry. 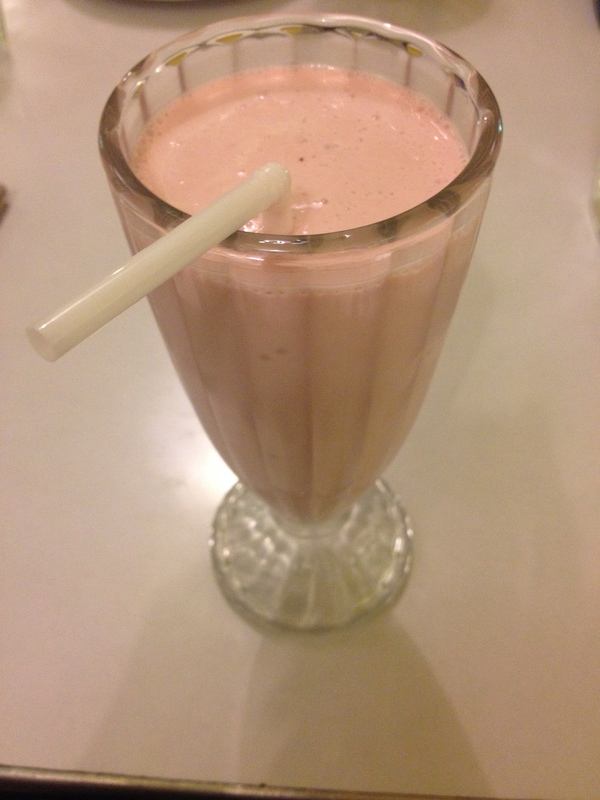 Their Strawberry Milkshake tasted like frutella. Yummy. – It’s a first. See you in our next BF Adventure. 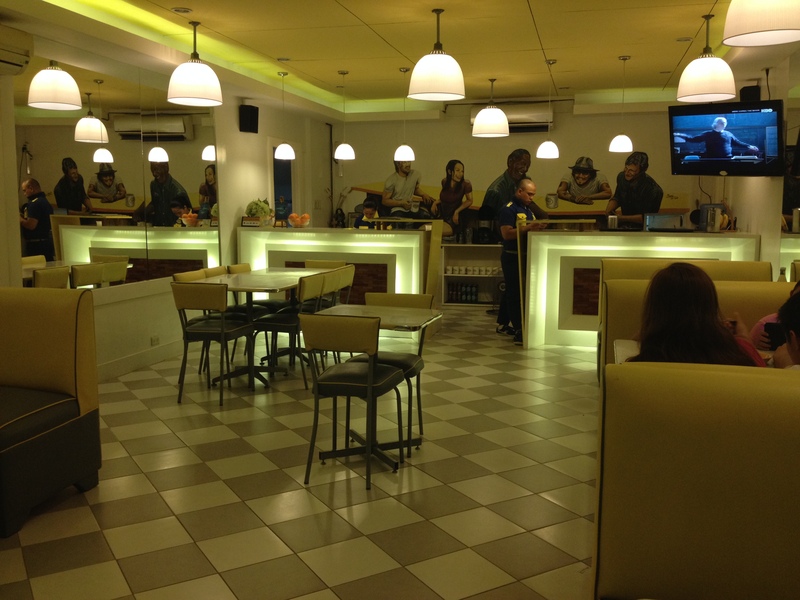 BF Homes, diner, eat, FOOD, paranaque, restaurant.